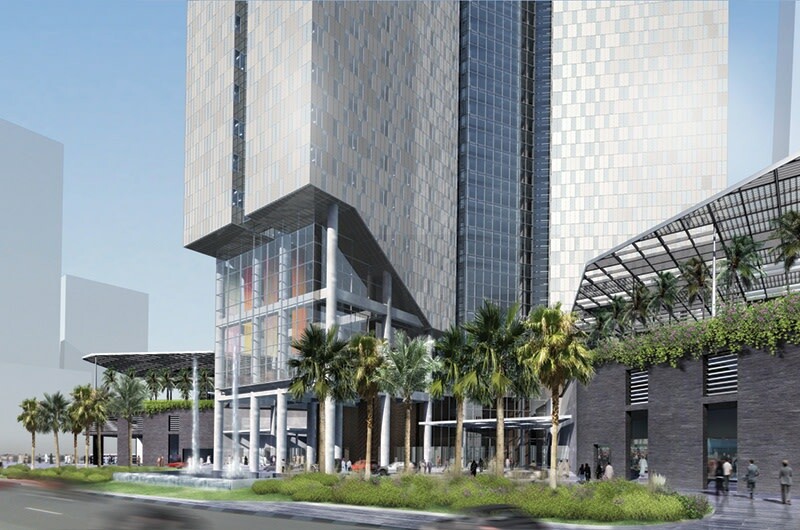 The site is located near the extreme end of the development boundary and sits alongside one end of the axis that runs across the site, linking the Gate Building, the Emirates Towers and the World Trade Centre on the other end. This location therefore forms a significant counterbalance to the Emirates Towers and as such lends itself to being a building with strong presence. 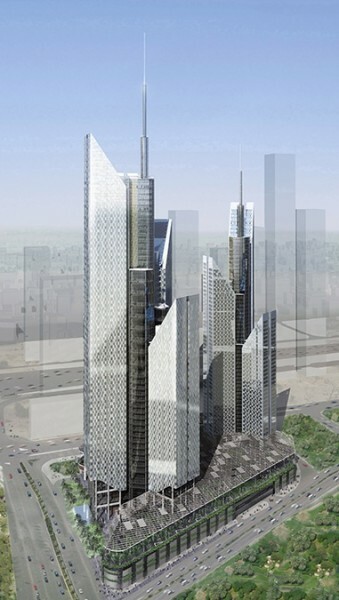 Two 50-storey towers are nearly complete and feature a scale and massing that contrasts with the nearby Emirates Towers. The larger of the two towers is for offices and the other is for residential use. They are both linked by a podium, which will house associated retail, leisure and related car parking. Further information about the project can be found here.